Sodium lactate is a multifunctional ingredient that is commonly used in cosmetics and personal care products as a preservative enhancer, buffering agent, and humectant moisturizer. Sodium lactate is the sodium salt of lactic acid. With a hydroxyl group adjacent to the carboxyl group, lactic acid is classified as an alpha-hydroxy acid (AHA). Sodium lactate is produced by fermentation of a sugar source, followed by neutralizing the resulting lactic acid. While the names may sound similar, sodium lactate is not chemically similar to lactose (milk sugar). In fact, most commercially used lactic acids are fermented from dairy-free products such as cornstarch, potatoes, or molasses. In addition to use in cosmetics, sodium lactate functions as a preservative, acidity regulator, and bulking agent when added to food. Furthermore, sodium lactate is used in the medical field to treat arrhythmias and metabolic acidosis. Sodium lactate is also a natural constituent of the stratum corneum (the uppermost layer of skin) as a part of the NMF (Natural Moisturizing Factor). In addition to sodium lactate, the NMF consists of amino acids, sugars, and electrolytes that work to keep skin’s surface intact, supple, and hydrated. The NMF becomes depleted as we age, as well as from routine exposure to sensitizing ingredients like drying cleansing agents and denatured alcohol. This leads to visibly dry, tight-feeling, flaky skin. Thus, replenishing the skin with natural components of the NMF, such as sodium lactate, can help to correct these problems. In cosmetics and personal care products, sodium lactate functions as a preservative enhancer, buffering agent, and a humectant moisturizer. Sodium lactate acts as a bacteriostatic agent, which means that it stops bacteria from reproducing, while not necessarily killing them otherwise. Therefore, sodium lactate is not an effective preservative when used alone; it must be used in addition to a full spectrum preservative. 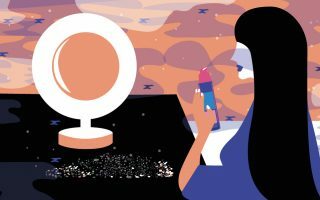 The ability to preserve a cosmetic formulation is important not only to extend the product’s shelf life, but also to prevent microbial contamination. 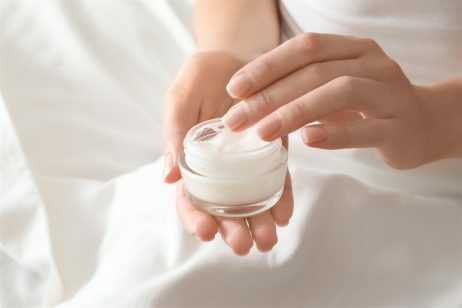 Cosmetics have a high potential for microbial contamination, especially creams and lotions that are packaged in jars, opened frequently, and applied to the skin with the fingers. Plus, the ingredients used in cosmetic formulations, such as water, oils, peptides, and carbohydrates, create the perfect environment for microorganism growth. Sodium lactate also functions as a buffering agent, which means it will help establish and hold the pH of a product. In chemistry, pH stands for ‘potential hydrogen’ and it refers to the level of acidity or alkalinity in a given solution. The pH scale ranges from 0 to 14. A pH of 7 is neutral, while a pH less than 7 is acidic and a pH greater than 7 is basic (alkaline). It is important to balance the pH of cosmetics and skin care products in order to maintain the skin’s normal pH (typically between 4 and 6) as closely as possible. If a product is too acidic, it may irritate the skin or cause a stinging sensation. However, if a product is too alkaline it can deplete the skin of essential lipids and may also make the skin more susceptible to acne. Another function of sodium lactate is as a humectant moisturizer. A humectant is a hygroscopic substance that often has a molecular structure with several hydrophilic (water-loving) groups. This structure allows humectants to attract and retain the moisture in the air nearby via absorption, drawing the water vapor into or beneath the surface. As a humectant, sodium lactate helps keep the skin hydrated and has been reported to increase the moisture content of skin by up to 84%. In fact, when compared to other commonly used moisturizers, it’s water holding capacity is second only to sodium hyaluronate (hyaluronic acid). The safety of alpha hydroxy acids, including sodium lactate, has been assessed by the Cosmetic Ingredient Review (CIR) Expert Panel. The Panel evaluated the scientific data and concluded that lactic acid and its salts (i.e. sodium lactate) were safe for use in cosmetics and personal care products, but with some restrictions. The concentrations must be 10% or less and the final formulation must have a pH of 3.5 or greater. Furthermore, the product should be formulated to avoid increasing sun sensitivity, or include directions for use that include the daily use of sun protection. References: Wikipedia, “Sodium Lactate”, Ingredients to Die For, “Sodium Lactate”, Cosmetics Info, “Sodium Lactate”, Cosmetic Ingredient Review, “Safety Assessment of Alpha Hydroxy Acids as Used in Cosmetics”, 2013.